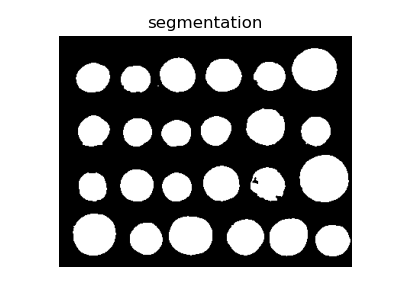 In this example, we will see how to segment objects from a background. 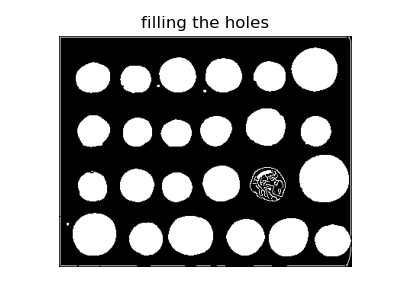 We use the coins image from skimage.data, which shows several coins outlined against a darker background. 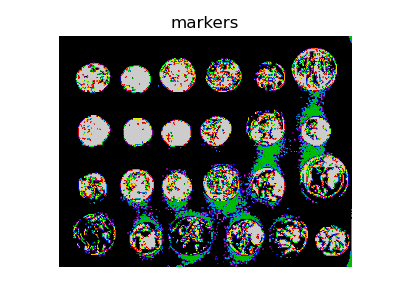 Next, we try to delineate the contours of the coins using edge-based segmentation. To do this, we first get the edges of features using the Canny edge-detector. These contours are then filled using mathematical morphology. 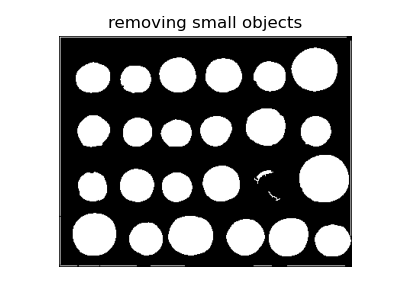 Small spurious objects are easily removed by setting a minimum size for valid objects. However, this method is not very robust, since contours that are not perfectly closed are not filled correctly, as is the case for one unfilled coin above. We therefore try a region-based method using the watershed transform. 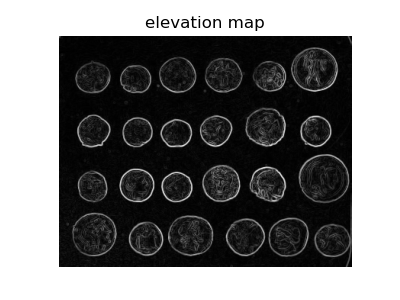 First, we find an elevation map using the Sobel gradient of the image. Next we find markers of the background and the coins based on the extreme parts of the histogram of gray values. This last method works even better, and the coins can be segmented and labeled individually.